This sweet, but tangy and rich, but light and fluffy dessert is one of my all time favorites. This time around, made over with simple and fresh ingredients! This is a sponsored post by Driscoll's. My mom has always loved to cook and bake, so I was totally spoiled with a variety of homemade treats as a kid. 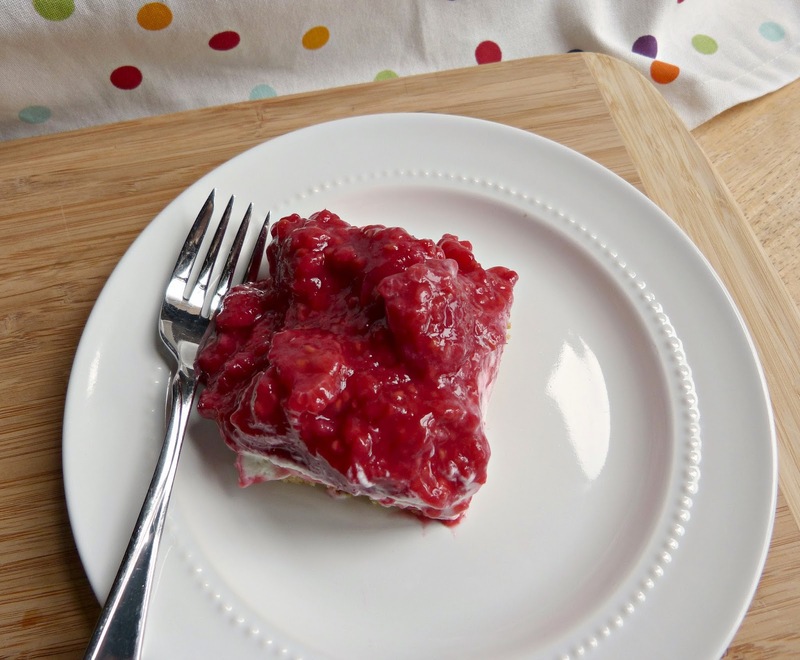 One of my favorites to this day is this super simple (almost) no bake raspberry dessert that I often requested she make for birthdays and special occasions. The combo of a crunchy crust, creamy filling, and sweet and tangy raspberries just cannot be beaten. And while childhood me loves this dessert, the more health conscious adult me is a little torn about it. I am a huge fan of dessert, but there were two big things about this old fashioned recipe that I struggle with: First, was the fact that the delicious buttery crust in my mom's recipe includes pecans. My husband is allergic to most tree nuts, so I would be eating this dessert all on my own. A good (and bad) problem to have. Second, this old school dessert is traditionally made with convenience items like nondairy whipped topping and packaged gelatin... and I just can't get behind these processed foods. 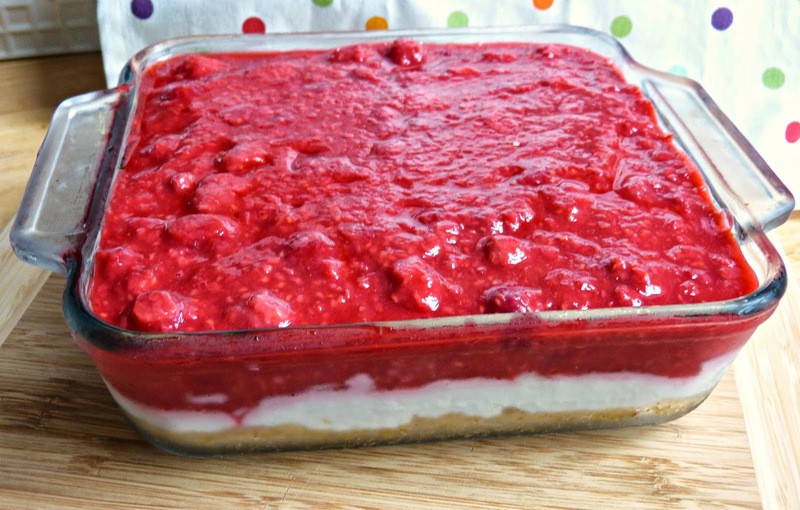 So, I decided to give my favorite raspberry icebox dessert a little makeover-- and it is so delicious! This three layer dessert starts with a crunchy graham cracker crust. It's the perfect base for this dessert and graham cracker crumbs make an excellent nut-free substitute for the original pecan crust (though I do highly recommend that if you aren't dealing with allergies!). Next up, a layer of real fresh whipped cream and cream cheese that tastes like a lighter fluffier cheesecake filling. This is all topped off with a layer filled with sweet and tart raspberries. This layer lost the packaged gelatin in favor of cornstarch thickening and was made even more delicious by subbing in fresh Driscoll's raspberries for frozen ones. This is a great recipe for summer entertaining. 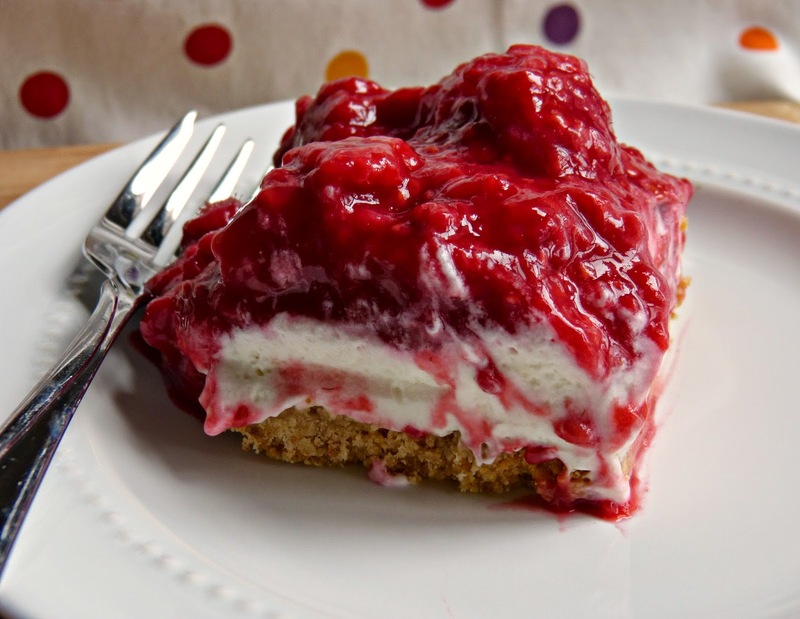 You can easily double it to feed a crowd and it is almost totally no bake. Like any icebox dessert, it is served chilled and that combined with the fresh raspberries makes this a perfect and refreshing summer treat! In a medium bowl, combine graham cracker crumbs and sugar. Pour in butter and stir ingredients together until fully incorporated. Press the mixture evenly into the bottom of a 9" square baking dish. Bake for 8 minutes and cool completely before adding the filling layers. Refrigerating the crust after baking will speed up this process. In a clean medium bowl, whisk together the softened cream cheese and sugar until smooth and fluffy. Separately, pour the heavy cream and vanilla extract into a chilled mixing bowl. Beat with a mixer until soft peaks form. Gently fold the whipped cream into the cream cheese mixture until incorporated. Spread the mixture evenly over the cooled crust and refrigerate until it is time to add the third layer. Combine 2 1/2 cups of berries with sugar, cornstarch, and water in a medium saucepan. Whisk to combine. Bring the mixture to a boil for 1 minute and then reduce heat to medium. Add the vanilla extract and stir the mixture constantly (to thicken) for 5 minutes. Remove from heat and allow to cool for 10 minutes. Stir in the remaining berries and refrigerate until completely cooled. 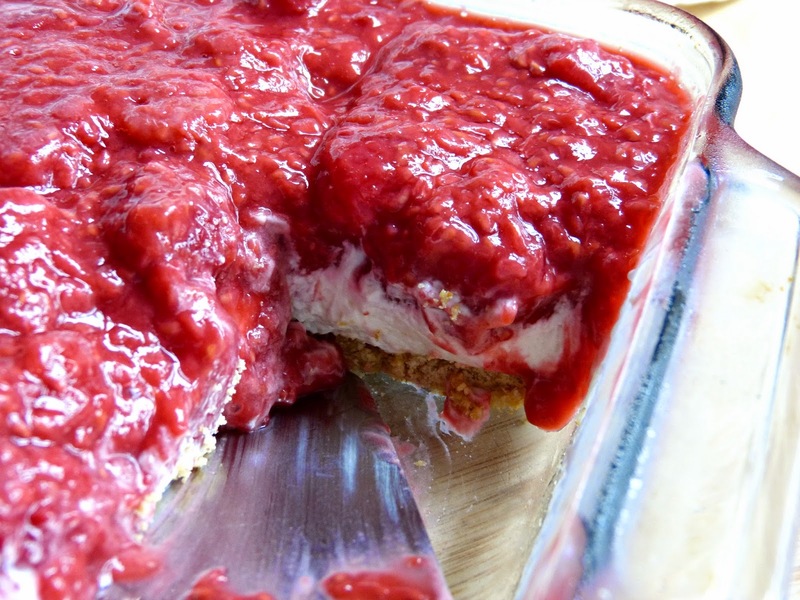 Carefully spread the cooled raspberry mixture evenly over the cream cheese layer. Cover and chill overnight. Remove from refrigerator when ready to serve. Slice and serve immediately. *You can also opt to not bake the crust. If you decide to make this a fully no bake dessert, after pressing the mixture into the pan you will need to refrigerate the crust for 1-2 hours before adding any additional layers to the pan.